Join us for our annual Spring recital ! 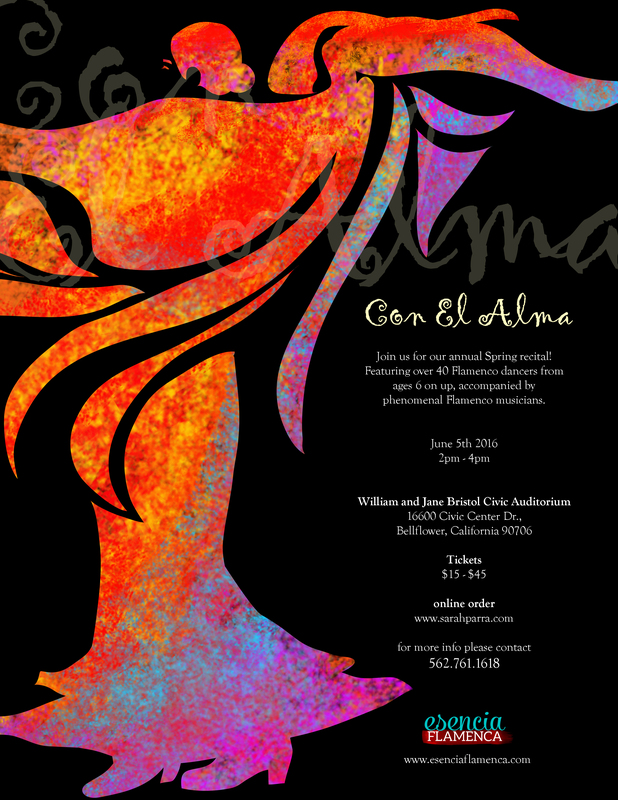 We will feature over 40 Flamenco dancers from ages 6 on up . Dancers are accompanied by phenomenal Flamenco musicians. All tickets must be paid for at the time of ordering. No refunds, credits or transfers. No photography or recording of anykind will be allowed at this performance . Photos and a DVD are available for purchase.